AllThingsCruise offers a variety of advertising opportunities, including an eNewsletter that reaches 477,000+ upscale, experienced travelers. Click here for more information. A recent survey tells us our subscribers are avid travelers and ready to book a cruise. See more information. AllThingsCruise, launched September 2009, is an independent travel enthusiast website dedicated to the joy of cruise travel and planning the most memorable cruise ever. The idea to launch AllThingsCruise came from our experience in the travel industry. Over the years, we’d gotten thousands of questions on cruising, and we were constantly seeking answers, which entailed visiting hundreds of sites to find the information we needed. Questions ranged from — How do I find the right cruise, the right ship, the right destination? Which is the right and best shore excursion? Will my cell phone work on board? What should I wear? — to cruising questions in general. We thought it was time to develop a cruise portal to address so many questions posed by both new and seasoned cruisers. A unique feature of AllThingsCruise is the complimentary e-card service for travelers to e-mail vital cruise line and ship contact information to family members and others prior to departure. The website’s content includes an assortment of cruise travel tools, from cruise reviews to traveler feedback, plus information on choosing the right ship for one’s vacation to preparing for and enjoying the time at sea. The goal of AllThingsCruise is to become one of the most credible sources for information on cruise travel for both new and seasoned cruisers. 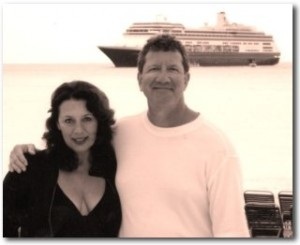 AllThingsCruise was developed by Heidi Allison-Shane and Bob Levinstein. Unlike many other cruise-oriented websites, AllThingsCruise is not sponsored by any specific travel agency or cruise line. 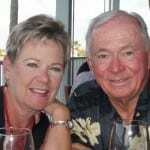 Its independent status provides visitors with objective, unbiased insights on various aspects of cruise travel. She is particularly interested in small ship cruises and those have taken her to Antarctica, deep into the Amazon, through the rivers of France. She just recently completed a seven-day cruise to the Galapagos Islands. But she sails the big ships, too, and often participates in the inaugural cruises of new vessels. In fact, she leaves next week for a transatlantic sailing on Celebrity’s new flagship, the Equinox. Cynthia is a former national president of the Society of American Travel Writers (SATW) and when she isn’t cruising, chances are she is on the golf course … she also does a lot of writing about golf travel. Cynthia and her husband Chet, who travels with her and takes most of the photos, live in Northern Michigan in the summer and Southwest Florida in the winter. A long-time consumer advocate, Cynthia welcomes your questions about cruising…she has visited most every cruise area of the world and always wants to go back. 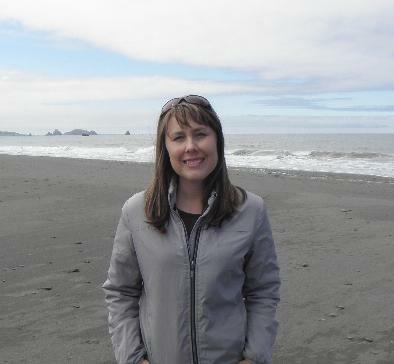 Research Editor Renee Goyeneche has an extensive research background and is a consultant to the travel industry. She is a writing and research contributor to several prominent travel websites and specializes in the cruise industry and luxury all-inclusive resorts. For more information about AllThingsCruise, please Contact Us.